* WHO'S INSPECTOR TURNER ? - "Alice Through The Broken Glass"
One page of letter to 'Dame Anne Owers' IPCC May /June 2014 - No Reply? 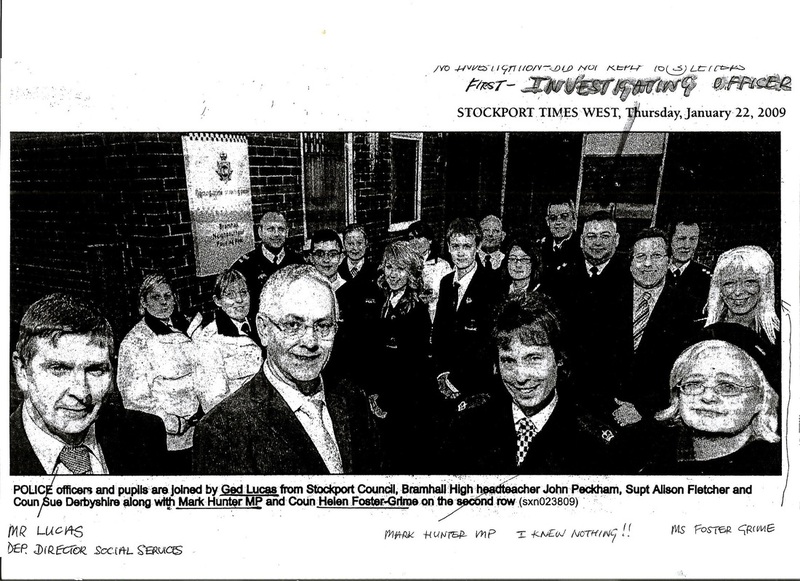 TRAINING COLLEGE - RUN BY GMP AND THE 'HOME OFFICE ??? 'IN EFFECT ADMITTING THE INVESTIGATION WAS NOT THOROUGH!! FIRST REPORT (2009) BY MR GIBBS (IPCC). - * FIRST OF ALL, HE WAS THE 'RELEVANT' DEPARTMENT, AS IT WAS HIM I WANTED TO SPEAK TO AND TELL HIM I WAS TAKING THE MATTER FURTHER !! THE WEATHER WAS NOT BAD AND MUM WANTED TO GO OUT FOR A RIDE ? - THERE WAS NO SCHEDULED HOME VISIT AS THEY DID NOT WANT TO SEE ME ? 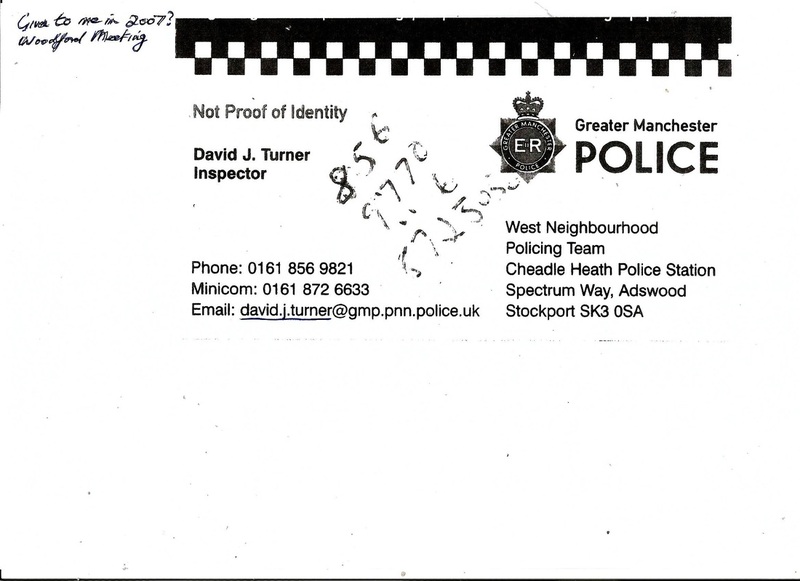 THE 'IPCC' KNEW RIGHT AT THE BEGINNING THAT PC THREADER WAS NOT FROM CHEADLE HEATH OR STOCKPORT, AND WAS IN FACT A STUDENT FROM SEDGLEY PARK ?? ?